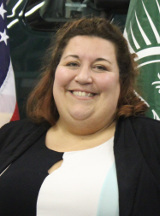 Nicole Prater The Township Clerk is the keeper of all the records of the township. The Clerk is required to keep accurate records of all meetings of the town board and to maintain those records according to the Illinois Statutes. The Clerk serves as the Freedom of Information Officer for the Township. The Illinois Freedom of Information Act governs public access to and the obtaining of copies of the records of public bodies, including townships. The FOIA requires that a public body make all public records (with specified exceptions) available for public inspection and copying. A person requesting access to or copies of public records must be given written notification of a public body’s decision with regard to such request and access to or copies of requested records, unless such records are exempt – usually within 7 working days and in all cases within 14 working days. Residents of Winfield Township can register to vote at the Township Office daily from 8:30 a.m. to 4:30 p.m. The office is located at 130 Arbor Avenue in West Chicago. The last day to register is 30 days prior to an election. •If you weren’t born in the United States, you’ll need to know the court, city and state, and the date on which you were naturalized. •You must be 18 years old by the next election (A 17-year-old can register if his/her birthday is on or before the date of the next election). •You must have resided in the voting precinct for 30 days prior to the next election. •You must provide two forms of identification, one showing your full legal name and one showing your current address. •Please note that it is also important, if you have moved, to notify the DuPage County Board of Elections Office at (630) 682-7440.